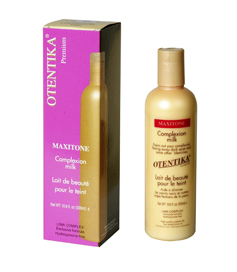 MAXITONE COMPLEXION MILK is an original milk that provides a brighter look and radiance to the complexion. It moisturizes ands conditions to beauty any skin type. It tones and helps to get rid of black heads, ashy look and other minor skin imperfections.